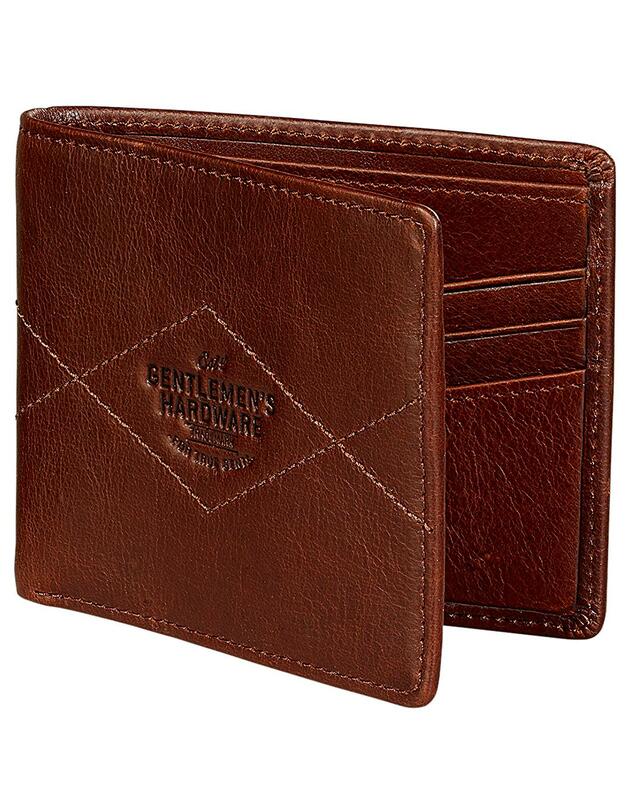 Fortune favours the brave, chaps, and so does this clever hardwearing leather wallet from Gentlemen's Hardware. In a deep oxblood colour (nearly brown), this gents wallet is made from sturdy leather and a lining which blocks contactless payment, helping protect you from unwarranted, accidental payments and theft. With 6 card slots, one large compartment and two smaller pockets, what else could one hope for in a fantastic retro style bi-fold wallet? What about a cool vintage inspired tin presentation box so it makes an ideal gift too? Done. - Gentlemen's Hardware bi-fold leather wallet in oxblood/brown. - Made from hardwearing leather and RFID lining to block contactless payments. - Embossed with the Gentlemen's Hardware logo to front with stitching detail. - Embossed 'Fortune Favours The Brave' signature to inside spine. - Embossed scales icon to inside. - Comes in vintage style presentation tin. - Product size: 94 x 115 x 15mm approx. Composition: Outer 100% leather. Lining 100% cotton.